"Top 7 Breeds For Cat Lovers With Allergies..."
For folks with allergies these hypoallergenic cat breeds are sometimes a good solution. Did you know? People aren't actually allergic to cats, or even their fur. The allergen responsible actually comes from a cats saliva! They wash themselves, and the protein, called FEL D-1, is left on the fur. This is what causes the allergic reaction. This protein is also secreted from a cats glands (this is another way it gets onto their fur), and is found in their urine. These hypoallergenic breeds have different fur types than the norm, and are sometimes tolerated by those with feline allergies. 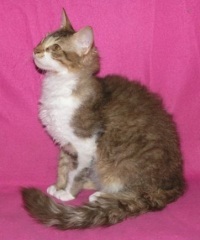 The prefix "hypo" acually means "less than normal" so the following hypoallergenic cat breeds are not non-allergenic. But some of them do produce less than the average amount of allergen, or less severe symptoms. 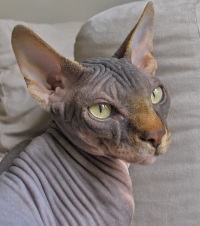 The Sphynx is noteable as being an (almost) hairless cat. Without the fur to groom, there should be less protein present. They do still secrete it, though. 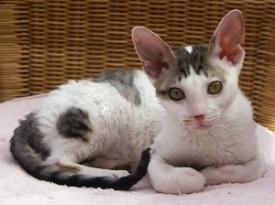 Allergic owners of a Sphynx are advised to bathe the cat regularly, which isn't hard to do. The skin and short soft fur do still contain the protein. The Sphynx is known for having an amazing personality. They are extremely loving, bonded family members who seem more like children than cats. The Rex's have only an undercoat, and don't shed like typical cats. So in this way, the spread of allergens around the house is reduced. The LaPerm has very curly fur. It can be short or longer, and it somewhat resembles the curls of a poodle. They seem to shed less, and it is reported by breeders that some people with feline allergies are able to tolerate a LaPerm. 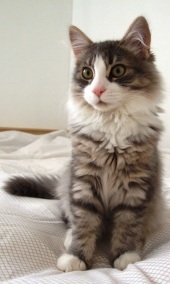 People have claimed the Siberian cat as being hypoallergenic for years. In 1999 a company called Indoor Biotechnologies tested the fur of four cats. They were looking for the FEL D-1 protein, the culprit for allergies. 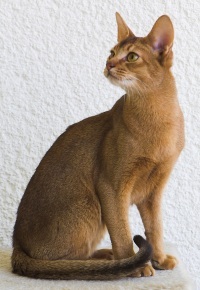 The mixed-breed cat had high amounts, and the Siberian and Abyssinian had much less protein. Many folks swear by these cats as being hypoallergenic. The Russian Blue is thought to also produce less protein. 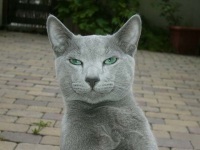 It is a loving cat with solid grey fur, very soft to the touch, and green eyes. They are sometimes shy around strangers, but are quite social with their family. It's important to note that although these breeds are known for being more "tolerable" to allergy sufferers, they still produce allergen. Many cats end up in shelters and rescue groups after being surrendered by owners who still had allergic reactions to them. 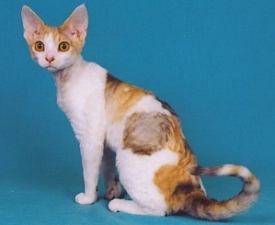 So, when purchasing one of these hypoallergenic cat breeds, always have a backup plan. Even better, visit the cattery a few times to test yourself for a reaction. Also, sometimes people think they are allergic to cats, but the culprit is something else in the environment. So make sure to get tested, too. All Breeds of Cat, Share Your Favorite!